Do you live your life comfortably nestled into a routine laden with complacency, free from any real risk? OR do you push yourself to your outermost physical, emotional, and mental limits? Knowing our tribe, I’m guessing it’s the latter. Below, you’ll be able to watch as 20 WoodWalker candidates transform and push their limits in an eye-opening SEALFIT 20X training session. 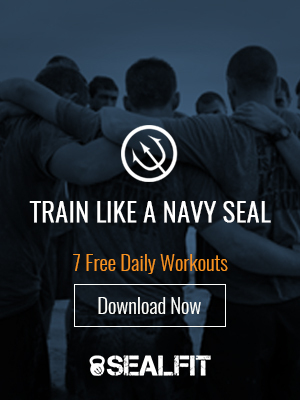 I know you will enjoy the SEALFIT 20X Documentary, expertly shot by the Southeast Lineman Training Center’s film crew, as much as I have AND feel inspired to find out that one day is all you need to see you’re capable of 20X more in your life. P.S. Our next 20X Challenge is in Encinitas on September 27th. You only have three weeks left to register, and there is limited space, so act now.